Powell City Council approved plans for two business development projects during its meeting last week. DJCF Holdings LLC plans to build a 3,000-square-foot building at Grace Plaza, 20 Grace Drive. 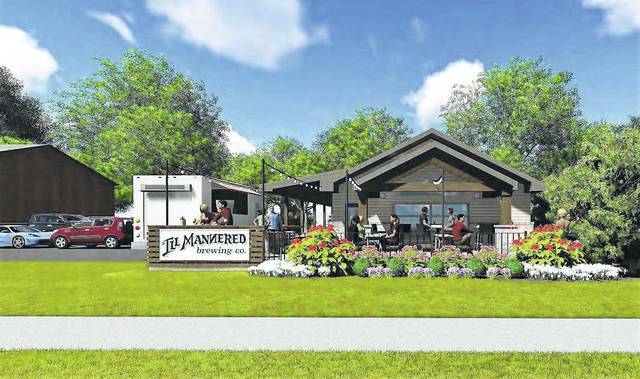 It would house Ill Mannered Brewing Co., a plaza tenant that has outgrown its current space. “We feel this opportunity to keep a unique addition to the Powell community is a priority and should provide them not only more capacity for their brewery, but space for their patrons,” DJCF Holdings said in a narrative submitted to the city council. The building would be designed to provide 1,500 square feet for storage and retail space, respectively. There would be a patio extending toward Grace Drive. The brewery would not serve food, but a food truck would be located on site adjacent to the patio. Council’s final approval of the plan will be contingent upon its approval to vacate some of the right-of-way to DJCF Holdings at a later meeting, officials said. Council members indicated at last week’s meeting that they would support such action. In other business, council approved Ford & Associates Architects combined preliminary and final development plan to build a 13,606-square-foot retail center on 1.51 acres at the southeast corner of West Olentangy Street and Murphy Parkway. The center would not have any restaurant tenants unless a shared parking agreement is reached with a nearby location. Powell Council’s next meeting is scheduled for 7:30 p.m. on Tuesday, Sept. 19 at the municipal building, 47 Hall St. The Powell finance committee is scheduled to meet at 7 p.m. Tuesday, Sept. 12 in council chambers. The city’s planning and zoning commission meeting is set for 7 p.m. on Wednesday, Sept. 13 in council chambers. To view Powell City Council meeting agendas and minutes, visit www.cityofpowell.us. DJCF Holdings LLC plans to build a 3,000-square-foot building at Grace Plaza, 20 Grace Drive in Powell. This rendering shows what the facility would look like once completed.